Seifert, B. & Schultz, R. (2009): A taxonomic revision of the Formica rufibarbis FABRICIUS, 1793 group (Hymenoptera: Formicidae). - Myrmecological News 12: 255-272. Seifert, B. & Schultz, R. (2009): A taxonomic revision of the Formica subpilosa Ruzsky, 1902 group (Hymenoptera: Formicidae). - Myrmecological News 12: 67-83. Schultz, R. & Busch. T. (2009): The northernmost record of the invasive garden ant, Lasius neglectus (Hymenoptera: Formicidae). - Myrmecological News 12: 183-186. Schultz, R. & Seifert, B. (2007): The distribution of the subgenus Coptoformica Müller, 1923 (Hymenoptera, Formicidae) in the Palaearctic Region. - Myrmecological News 10: 11-18. Espadaler, X., Tartally, A., Schultz, R., Seifert, B. & Nagy, C. (2007): Regional trends and local expansion rate in the garden invasive garden ant, Lasius neglectus (Hymenoptera, Formicidae). - Insectes Sociaux 54: 293-301. Schultz, R. & Buschinger, A. (2006): First Asian record of the parasitic ant, Leptothorax goesswaldi Kutter, 1967 (Hymenoptera: Formicidae). - Myrmecologische Nachrichten 9: 33-34. Pfeiffer, M., Schultz, R. Radchenko, A., Yamane, S. Woyciechowski, M. Ulykpan, A. & Seifert, B. (2006): A critical checklist of the ants of Mongolia (Hymenoptera/Formicidae). - Bonner Zoologische Beiträge 55: 1-8. Schultz, R., Radchenko, A. & Seifert, B. (2006): A critical checklist of the ants of Kyrgyzstan (Hymenoptera: Formicidae). - Myrmecologische Nachrichten 8: 201-207. Schultz, R. & Seifert, B. (2005): Lasius neglectus (Hymenoptera: Formicidae) - a widely distributed tramp species in Central Asia. - Myrmecologische Nachrichten 7: 47-50. Laeger, T. & Schultz, R. (2005): Ameisen (Hymenoptera: Formicidae) als Beifänge in Bodenfallen - wie genau spiegeln sie reale Abundanzverhältnisse wider? - Myrmecologische Nachrichten 7: 17-24. Schultz, R. & Seifert, B. (2007): Zur Verbreitung der Arten der Untergattung Coptoformica (Hymenoptera: Formicidae) in Deutschland. - Ameisenschutz aktuell 3/07: 79-83. Schultz, R. & Busch, T. (2003): Über einen Fund der Kerbameise Formica foreli Emery 1909 (Hymenoptera: Formicidae) im Müritz-Nationalpark. - Ameisenschutz aktuell 17(2): 33-37. 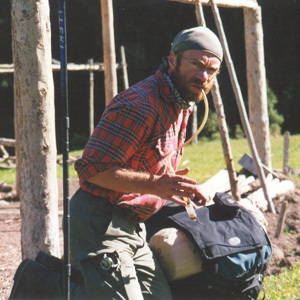 Since 1998 I had the opportunity to take part in scientific expeditions to Central Asia. I decided to collect ants because I was fascinated by this insects since my early youth. So far I could participate in nine expeditions to the Tian Shan (Kyrgyzstan / Kazakhstan / China), to Mongolia and to the lake Baikal (Russia). My aim is to work on the antfauna of the Palaearctis and especially the Eastpalaearctis both ecologically and taxonomically.